You will find some of your greatest joys in your efforts to make your home a place of faith in the Lord Jesus Christ and a place that is permeated with love. 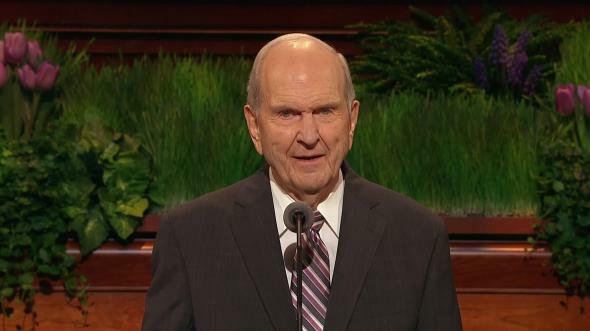 My dear brothers and sisters, I am grateful to have been invited to speak to you in this 189th Annual General Conference of The Church of Jesus Christ of Latter-day Saints. 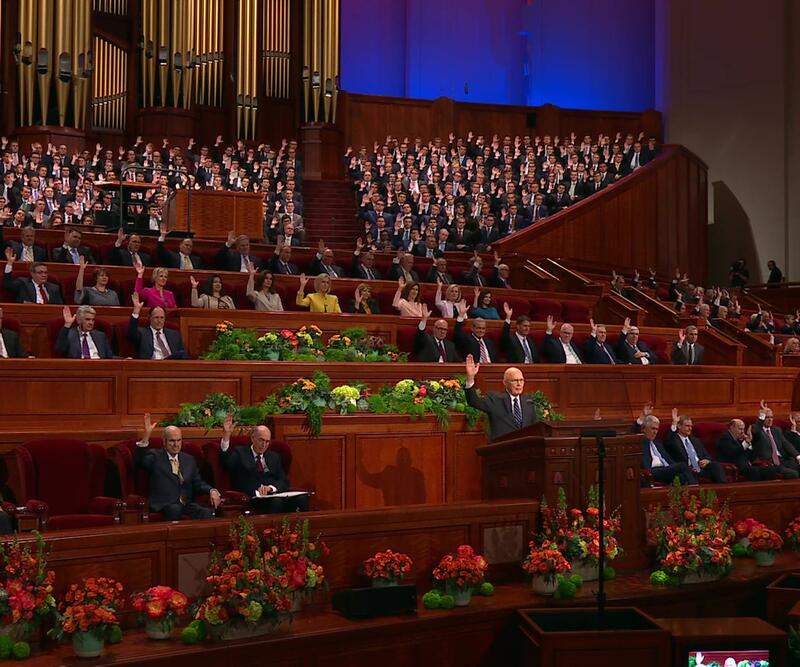 On this date in 1830, Joseph Smith organized the Church under the direction of the Lord. It was done in the Whitmer family home near Fayette, New York. There were six members and about 50 other interested people there that day. Although I don’t know what the Prophet Joseph said or how he looked when he stood before that little group, I know what those people with faith in Jesus Christ felt. They felt the Holy Ghost, and they felt that they were in a holy place. They surely felt that they were united as one. My purpose today is to teach what I know of how we can qualify for that feeling more often and invite it to last longer in our families. As you know from experience, that is not easy to do. Contention, pride, and sin have to be kept at bay. The pure love of Christ must come into the hearts of those in our family. “And there were no envyings, nor strifes, nor tumults, nor whoredoms, nor lyings, nor murders, nor any manner of lasciviousness; and surely there could not be a happier people among all the people who had been created by the hand of God. “There were no robbers, nor murderers, neither were there Lamanites, nor any manner of -ites; but they were in one, the children of Christ, and heirs to the kingdom of God. As you know, that happy time did not endure forever. The account in 4 Nephi describes the eventual symptoms of spiritual decline among a group of good people. It is a pattern that has appeared over the ages in entire peoples, in congregations, and, most sadly, in families. By studying that pattern, we can see how we might protect and even increase the feelings of love in our family. Wise parents will be alert enough to notice those symptoms when they appear among their family members. They will, of course, be concerned. But they will know that the underlying cause is the influence of Satan trying to lead good people down a path to sin and thus to lose the influence of the Holy Ghost. So the wise parent will see that opportunity lies in leading each child, and themselves, to accept more fully the Lord’s invitation to come unto Him. So building faith in Jesus Christ is the beginning of reversing spiritual decline in your family and in your home. That faith is more likely to bring repentance than your preaching against each symptom of spiritual decline. You will best lead by example. Family members and others must see you growing in your own faith in Jesus Christ and in His gospel. You have recently been provided great help. Parents in the Church have been blessed with an inspired curriculum for families and individuals. As you use it, you will build your faith and the faith of your children in the Lord Jesus Christ. 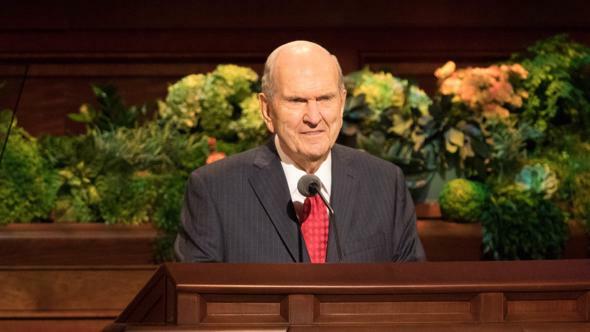 Your faith in the Savior has grown as you followed President Russell M. Nelson’s suggestion to reread the Book of Mormon. 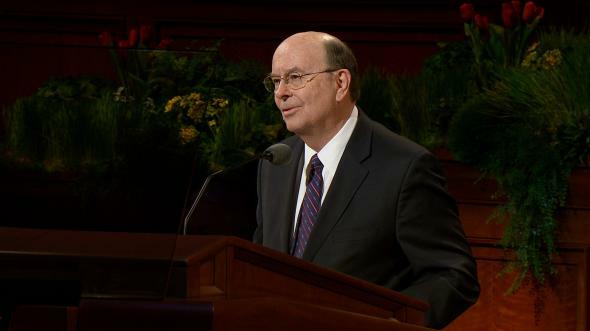 You marked passages and words that referred to the Savior. Your faith in Jesus Christ grew. But like a new plant, such faith in Jesus Christ will wither unless you find continued resolve to ponder and pray to increase it. “And it came to pass that as I was thus racked with torment, while I was harrowed up by the memory of my many sins, behold, I remembered also to have heard my father prophesy unto the people concerning the coming of one Jesus Christ, a Son of God, to atone for the sins of the world. In addition to your example of growing in faith, your praying as a family can play a crucial part in making home a sacred place. One person is usually chosen as voice to pray for the family. When the prayer is clearly to God in behalf of the people kneeling and listening, faith grows in all of them. They can feel expressions of love for Heavenly Father and for the Savior. And when the person who prays mentions those who are kneeling in that circle who are in need, all can feel love for them and for each member of the family. Because none of us is perfect and feelings are easily hurt, families can become sacred sanctuaries only as we repent early and sincerely. Parents can set an example. Harsh words or unkind thoughts can be repented of quickly and sincerely. A simple “I am sorry” can heal wounds and invite both forgiveness and love. 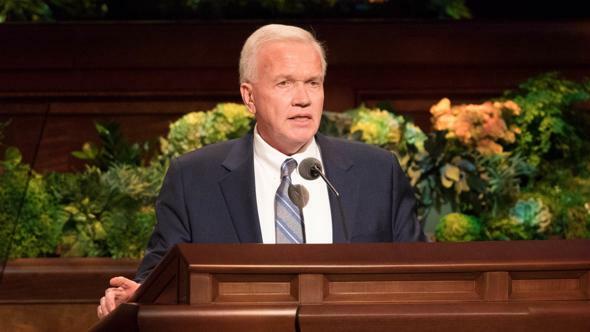 The sons of Mosiah were determined to offer the gospel to everyone. This desire came from their personal experience with repentance. They could not bear the thought of any person suffering the effects of sin as they had. So they faced years of rejection, hardship, and danger to offer the gospel of Jesus Christ to their enemies. 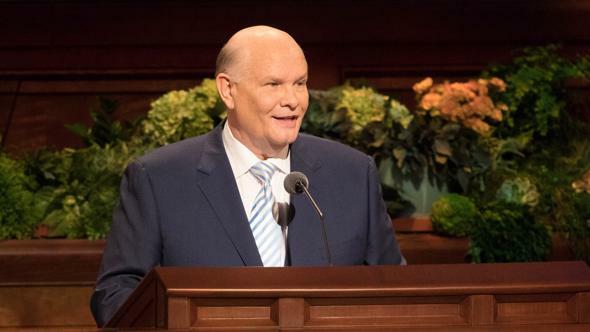 In the process, they found joy in the many who repented and experienced the joy of forgiveness through the Atonement of Jesus Christ. 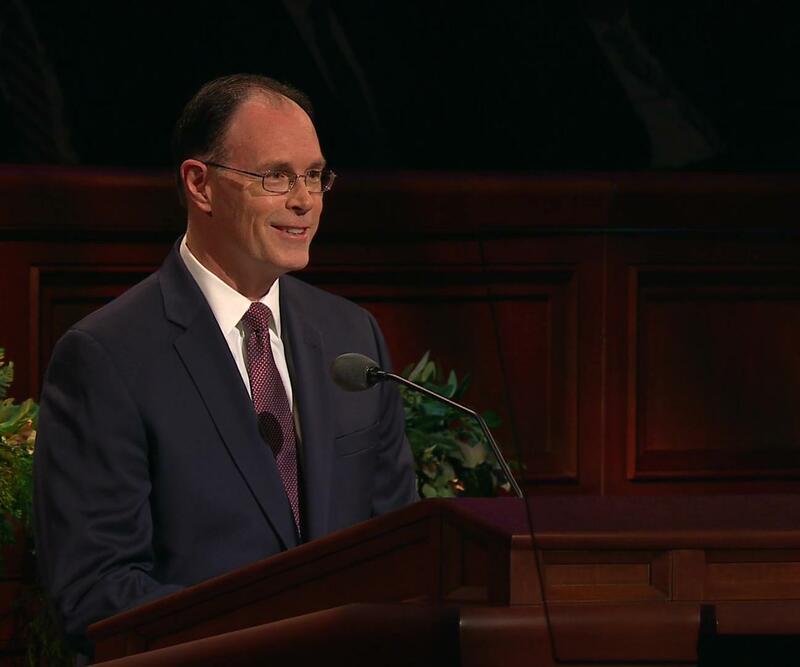 Our family members will grow in their desire to share the gospel as they feel the joy of forgiveness. That can come even as they renew covenants when they partake of the sacrament. 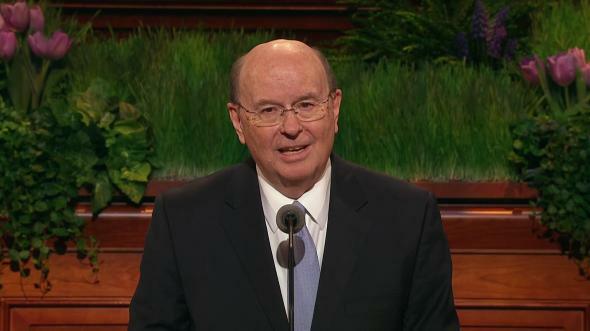 The missionary spirit will grow in our homes as children and parents feel the joy of forgiveness in the sacrament service. By their example of reverence, both parents and children can help each other feel that joy. That joy can go far in turning our homes into missionary training centers. All might not serve missions, but all will feel the desire to share the gospel, which has brought them to feel forgiveness and peace. And whether currently serving full-time or not, all can feel joy in offering the gospel to others. 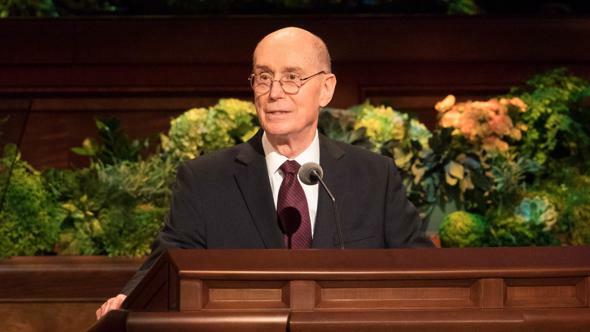 For both parents and children, the temple is the best opportunity to gain a feeling for and a love of heavenly places. That is especially true when the children are young. Children are born with the Light of Christ. Even a baby can feel that a temple is sacred. 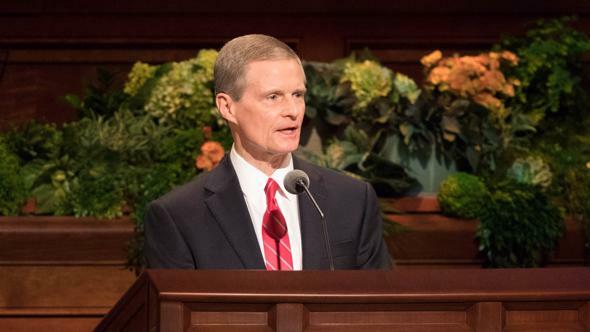 Because parents love their little children, the temple represents for them the hope that they can have their children to love in their eternal family—forever. Some of you have photographs of temples in your homes. As temples are being added across the earth, it is possible for many parents to visit temple grounds with their families. A few may even be able to attend open houses when temples are built. Parents can ask children how they felt to be near or in a temple. 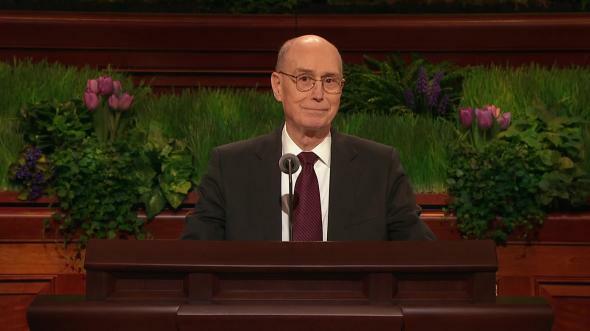 Every parent can bear testimony of what a temple has meant to him or her. 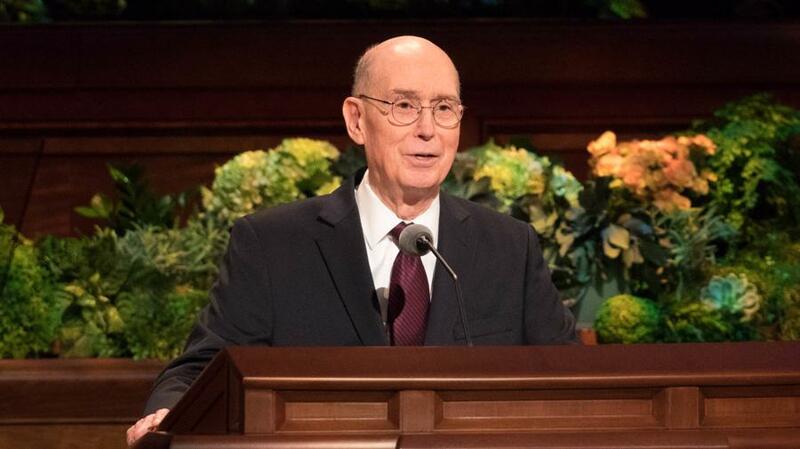 President Ezra Taft Benson, who loved temples, spoke often of watching his mother carefully press her temple clothing.6 He spoke of his memory as a boy watching his family as they left his home to attend the temple. 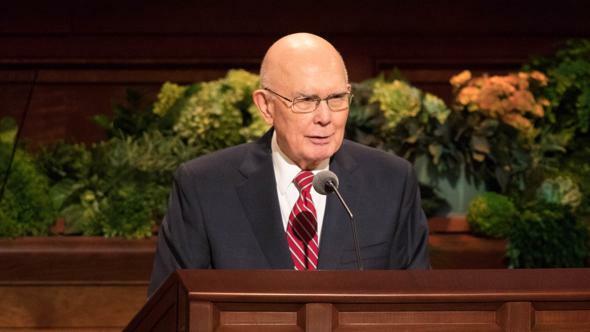 When he was the President of the Church, he attended the temple the same day each week. 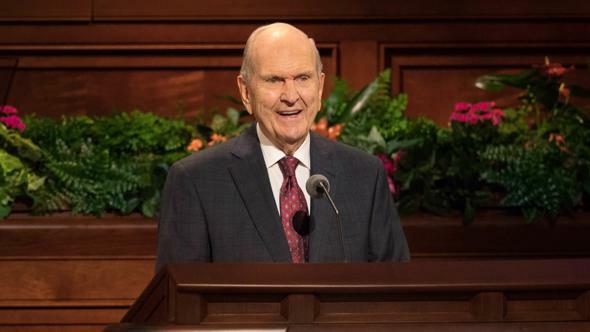 He always did the temple work for an ancestor. It came largely from the example of his parents. You will find some of your greatest joys in your efforts to make your home a place of faith in the Lord Jesus Christ and a place that is permeated with love, the pure love of Christ. 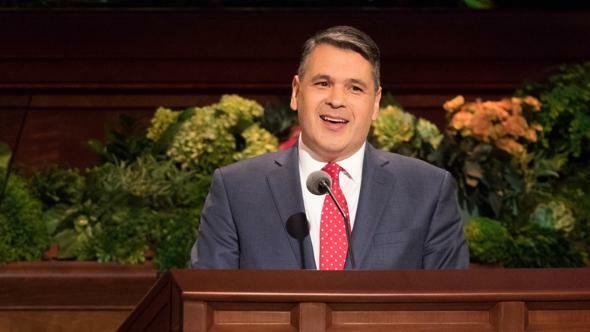 The Restoration of the gospel started with a humble question pondered in a humble home, and it can continue in each of our homes as we continue to establish and practice gospel principles there. This has been my hope and my deepest desire since I was a little boy. You have all had glimpses of such homes. Many of you have, with the Lord’s help, created them. 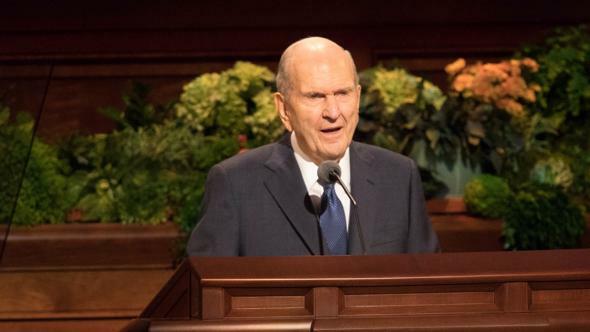 I believe that he would extend that happy hope to any of us in mortality who have done all we can to qualify ourselves and our family members for eternal life. I know that Heavenly Father’s plan is a plan of happiness. 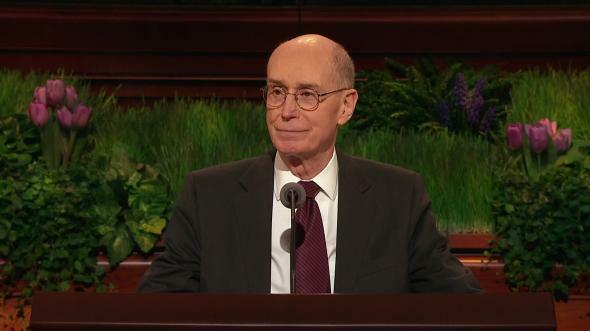 I testify that His plan makes it possible for each of us who has done the best we can to be sealed in a family forever. 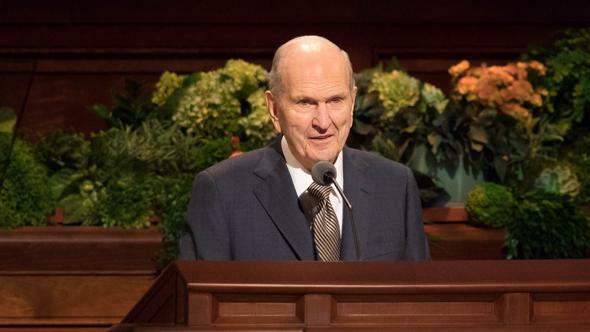 I know that the priesthood keys restored to Joseph Smith were passed on in an unbroken line to President Russell M. Nelson. Those keys make possible the sealing of families today. I know that Heavenly Father loves us, His spirit children, with a perfect love. 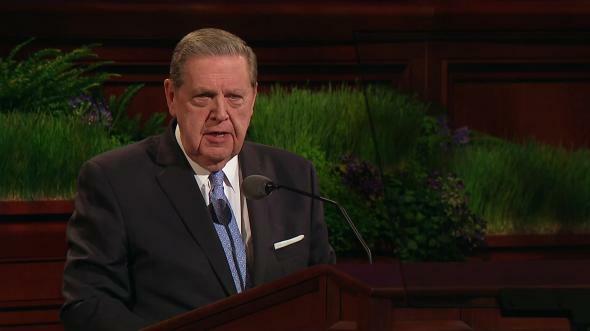 I know that because of the Atonement of Jesus Christ, we can repent, be cleansed, and become worthy to live in loving families forever with our Heavenly Father and with His Beloved Son, Jesus Christ. I so testify in the name of Jesus Christ, amen. 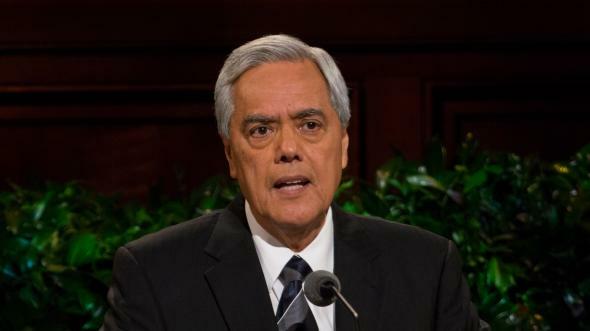 See Teachings of Presidents of the Church: Joseph Smith (2007), 391–98. 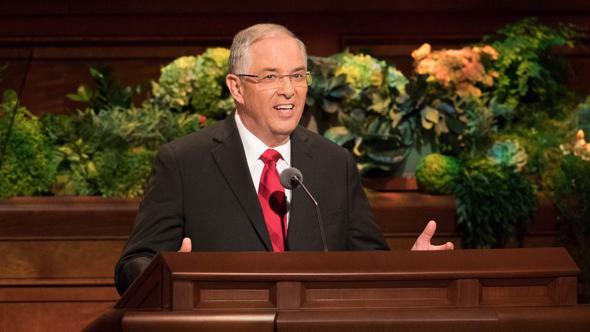 See Teachings of Presidents of the Church: Ezra Taft Benson (2014), 167.